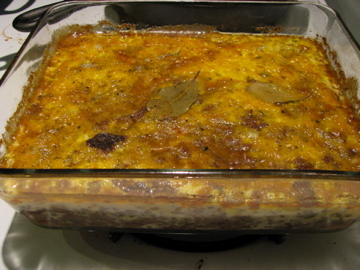 Bobotie is a South African dish, a little like moussaka or Shepherd’s pie. A savory mince with a subtle curry flavor, topped with a savory custard. It is something we used to eat at home but I haven’t made it for years. I remember using the recipe for a home economics class when I was in high school, I think we were doing a project about world cuisines. 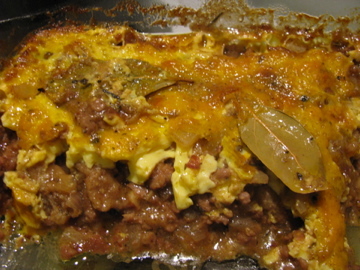 A google search shows that there are lots of different variations of bobotie some including dried fruits. This is our tried and tested family recipe. 6 fl. oz. rich gravy or meat stock. Fry the chopped onion until golden, add the minced beef or lamb and brown it, stirring frequently. Soak the bread in the gravy or stock and mash or process. Add this to the meat along with curry powder, lemon juice, chopped nuts, essence or bitters, and season. Cook for a few mins. before turning it into an open pie dish or other baking dish. It should be quite thick. Beat the eggs with milk and pour the liq. gently on top of the beef. Float bay leaf on top. Cook in a mod. 350 oven for c. 45 minutes. Test if it’s set. This evening I served it with broccoli and mash made of Green Mountain potatoes, celery root and lots of home-made butter, but you could equally serve it with rice and salad. My house guest pronounced it ‘Glorious’. Reading that made me feel slightly nostalgic. Our family version is pretty much the same but contains a few raisins and instead of bay – rolled up lemon leaves pushed into the mince. Did you ever try another Cape classic: Waterblommetjiebredie? Thanks for sharing a new dish. I think few more raisins or vegetables can be added. I did try it, but a long time ago…. 1995. I had a lot of good food (and wine!) in South Africa. I love braais, biltong, boerewors, bunny chow — and South Africa was where I first got hooked on squash. 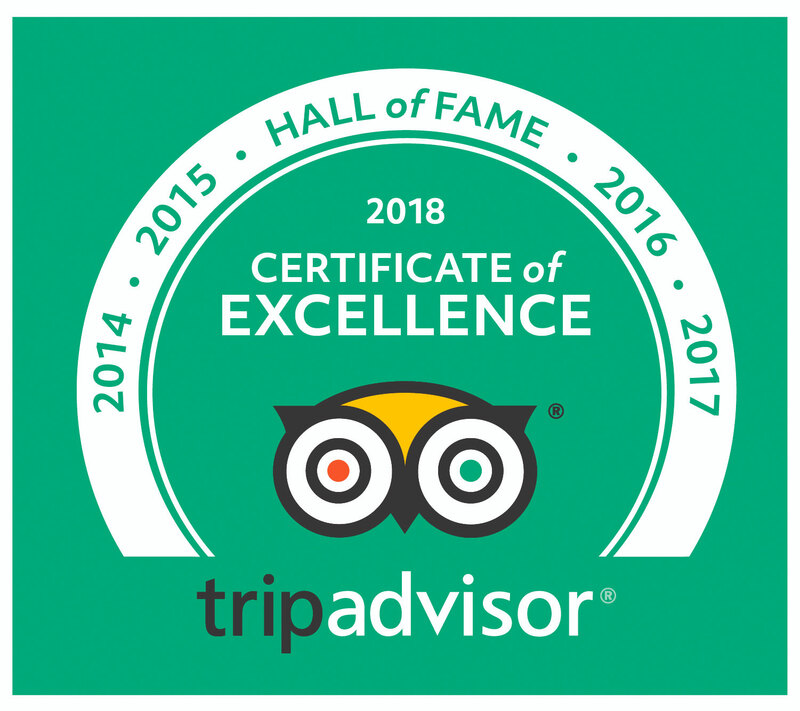 I took this great class over the weekend that you guys might be interested in. I am signing up for leftovers. Or tasting help in the HW test kitchen. I have to say that it passed the CMH-G taste test…. it was even better as leftovers the next day.